In Town Convenience ... Cozy, Comfortable and Adorable! Nestled in among tall lodge pole pine trees a one room cabin originally built in 1949 with a brand new 2-story addition on the back of completely restored original cabin is as fresh as the mountain spring its named after. Cozy and adorable with all new furnishings will welcome you home after a long day of activities. The first floor contains the living area/kitchen with queen size sleeper sofa, chair w/ottoman, built in desk, pop-up cocktail table for dining while watching TV, DVD/CD player and an all-in one video game player with 28 different games. The kitchen area has seating for 2 at end of counter and 2 more seats with a built-in table height counter. Also there is a dining table just down a short hall that will accommodate up to 4 people. There is a gas burning stove in the hallway/alcove. Also on this level is one bedroom with a queen size bed(new Sealy pillow top mattress), a full bathroom with stall shower. Second level contains a queen size bed(new Sealy pillow-top mattress), bunk bed(2 twin size Visco memory foam mattresses), full bathroom with tub/shower and a balcony with clear view of the outlying mountains. All bedding, towels and paper products supplied for you. There is a multitude of activities to enjoy in this beautiful part of the country. Besides all there is to see and learn in Yellowstone National Park both in the summer and winter, there is over 500 miles of groomed snowmobile trails to explore between W. Yellowstone and Island Park, ID. Or only 2 blocks away the entrance to the famous Rendezvous Cross-country ski trails if that is more to your taste. Less than a block away is a trail system for hiking, biking, 4-wheeling and also snowmobiling in winter. For a change of pace you might enjoy whitewater river rafting, or maybe fishing is your thing, you can find both nearby on the Gallatin or Madison Rivers. With so many things to see and do there is sure to be something for everyone to enjoy. 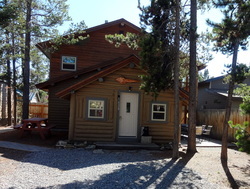 Make Whiskey Springs Cabin your base to relax after a day of play! 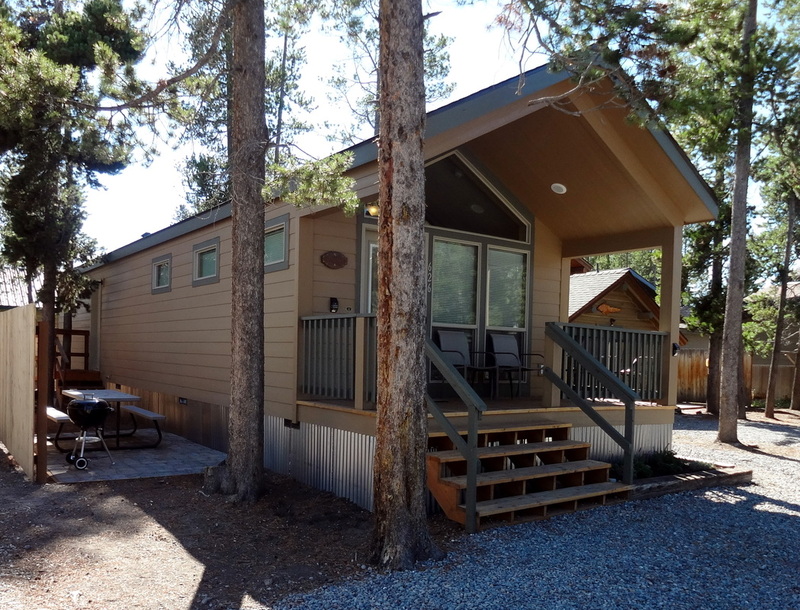 New for 2014 this 2 bedroom 1 bath home is 800 sq ft and will accommodate up to 6 guests. The open living space offers a sofa with queen size pull out bed an upholstered storage ottoman which can double as extra seating a 40" led flatscreen tv with dish tv service a fully equipped kitchen with all full size appliances and most everything you need for preparing meals. The master bedroom contains a king size bed and features a 32" flatscreen tv while the second bedroom provides a queen size bed. The ample sized bathroom has a tub/shower combo and also houses the stacked full size washer and dryer. Enjoy the outdoors on the front porch or the patio. There is a charcoal grill and a picnic table in the patio area and comfortable sling back chairs on the porch.